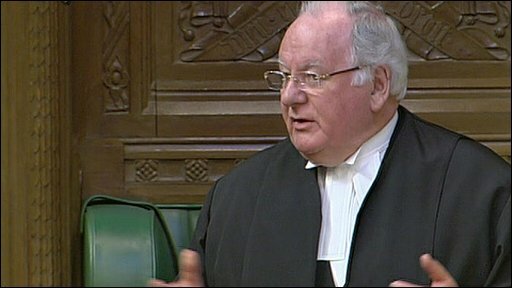 The Commons speaker has defended asking police to probe the expenses leak but told MPs their claims should be made "in the spirit of what is right". Michael Martin said there was "great public concern" after revelations in the Daily Telegraph which published details of leaked expenses claims. He attacked MPs who opposed asking police to look for the source, whom Mr Martin said could pose a security risk. Gordon Brown has apologised for "all parties" for "mistakes" in MPs' claims. It follows days of damaging stories in the Daily Telegraph, which has published details of Labour ministers' and Tory frontbenchers' claims. The revelations are set to continue on Tuesday - with the newspaper saying it will publish the "most extravagant" claims so far by Conservative MPs - including one who claimed more than £380 for horse manure. On Monday the newspaper concentrated on senior Tories, including more than £2,000 claimed by policy chief Oliver Letwin to replace a leaking pipe under a tennis court. It also reported that shadow Cabinet Office minister Francis Maude had claimed nearly £35,000 in mortgage payments on a flat close to a house he rented out. Conservative leader David Cameron acknowledged that the latest revelations meant "another bad day for Parliament and, frankly, a bad day for the Conservative Party". Millions of receipts backing up all MPs' claims under the £24,000-a-year second homes allowance were due to be published in mid-July, after the Commons lost a Freedom of Information case. But the Telegraph got hold of the details early and has been publishing selected claims over the past few days. The House of Commons Commission, a supervisory body, met on Monday evening and agreed to try to bring forward the official publication date. But Commission member Nick Harvey said it would still be "weeks not days" until the details were released as they had to make sure addresses and credit card numbers were removed. In the Commons Mr Martin said the House had been advised against seeking an injunction against publication but had been right to ask police to investigate as the leaker could release further private information. MPs were concerned that private details like bank accounts and passwords might be published, he said. 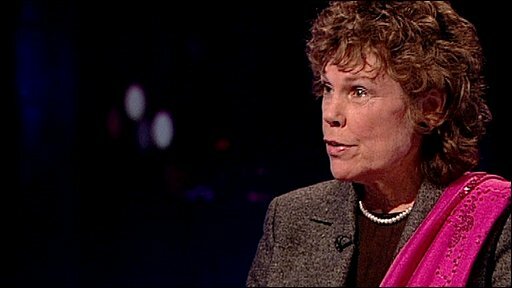 Labour MP Kate Hoey said, as the newspaper had chosen to black out details like addresses, asking the police to investigate was "an awful waste" of police resources and suggested MPs had something to hide. But an annoyed Mr Martin said he had already heard her "pearls of wisdom on Sky News". He added: "Is it the case that an employee of this House should be able to hand over any private data to any organisation of his or her choosing?" "It's easy to say to the press this should not happen - it's a wee bit more difficult when you just don't have to give quotes to the press and do nothing else." He also told off Lib Dem Norman Baker - who has long campaigned for greater transparency on MPs' expenses - as "another member who is keen to say to the press what the press wants to hear". He was angry that Mr Baker, he said, had suggested the commission had "done nothing" - pointing out that it had made recommendations for reform last year and MPs had voted against them. In a separate debate later he admitted: "I know I might be in a bit of a bad mood today." Later Mr Baker told the BBC: "I'm sorry to say he seems to have learned nothing and appeared to be defending vested interests rather than leading us out of this mess." The shop steward of the Commons has spoken and wasn't it telling? Mr Martin told MPs a new operational assurance unit would start "shortly" to oversee claims - something MPs had already voted through in January. Sources have indicated that there is no agreement yet on a proposal for independent external auditing of MPs' expenses by a private company. But Mr Martin assured the Commons there was "no intention" that, should it be agreed, it would put an end to freedom of information inquiries about their claims. Former health secretary Patricia Hewitt said MPs could not blame the media for the situation and asked for "citizens' juries" to be set up to consider their salaries and expenses. The Labour former minister Chris Mullin asked the Speaker to consider rebutting some "falsehoods" including a suggestion that MPs are "subject to special tax treatment". "We're in a climate now where any nonsense can be written about anybody and it is dragging us all down." Earlier Liberal Democrat leader Nick Clegg said MPs had to be stopped from "making a penny of profit from, in effect, playing the property market". Several MPs whose claims have been revealed by the Daily Telegraph over the last few days have responded by saying they acted within the rules of the expenses system - but agreed the system had to change. Mr Martin told MPs changes had already been made with more to come. But he added: "Working to the rules and the rules alone isn't what is expected of any honourable member. "It is important that the spirit of what is right must be brought in now." Earlier Prime Minister Gordon Brown apologised on behalf of all parties for "mistakes" made by MPs in their second homes claims. Mr Cameron said: "We have to acknowledge just how bad this is. The public are really angry and we have to start by saying, look, this system that we had, that we used, that we operated, that we took part in - it was wrong and we're sorry about it."